I personally already wrote Obama, but who am I for him to listen to? I am not a US citizen. But many of you are! Please help us! Readers: If you can take a few minutes of your time to let a few of these know how you feel about this situation in Honduras, it could make a difference. There is so much misinformation in the media about what has happened here. If you have any other important email address to add to the list, please let me know so I can add them. Readers, if you find any of these websites, email addresses, or telephone numbers do not work, please help me by finding the correct one so that I can fix the article! World: We don't want to be Cuba! 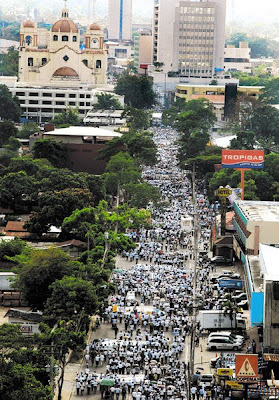 Thousands of people of Honduras are protesting peacefully in Tegucigalpa and San Pedro. This time there really are thousands of people. I'm still shaking from the earthquake, but now I have chills seeing the protesters. I saw giant hand written sign that said: "Este es el pueblo!" This is the people (of Honduras)! I wish I could show the helicopter view. There has to 10-20,000 people in Tegucigalpa. They are announcing various Zelaya supporters that are THERE with them. Signs say: "Defending my constitution!" "Bravo to our heroes: The congress, the Supreme Court, the Armed Forces"
"Open your eyes. We are 90% of the country!" "We reject Chávez and Ortega!" An old woman is saying "Respect our sovereignty! We are not revolutionaries!" Now, CNN is overlaying the OAS meeting where Honduras is being condemned by the US, Canada, and everyone else, I guess, while the people happily cheer about their new government. Speech: World: Mel Zelaya has committed crimes against our country! He is a traitor! We Honduras just want to live in peace and democracy. We are defending our constitution. We want to live in democracy and liberty. Please come to Honduras to see that we are not lying and are trying to defend our constitution. We don't want to be Cuba! There is no freedom in Cuba. Honduras! Honduras! It is a democratic country. Child says in English: Mel is a man who broke the law and must be punished for it. No Mel! No Mel! No Mel! Send Mel to the courts. We don't want Mel! We don't want Mel! Woman crying: We don't want Mel in Honduras. We only want peace and democracy! Unbelievable! CNN en Español IS NOT SHOWING IT -- only the local channels. How can Honduras be heard in the court of world opinion if no one is listening? I'll admit that I am crying right now, listening to the joy and pleading in the voices and knowing that they probably do not know that they have just been rejected by the world. I've always known there is no justice in Honduras. Now I know there is no justice for Honduras either. I have never been so ashamed of my own country -- the USA -- that they have put politics ahead of human rights. Can this devastatingly poor country stand up to economic sanctions of the world? It's very doubtful since people are already starving. They are proud people and they may try. If they fail, I'm sure that they will never try to stand up for themselves again. Democracy: I'm really confused about this. If it is the will of the majority of the people of Honduras that Mel Zelaya not continue to be president − as it seems to be − but the international community forces Honduras to take him back by using economic sanctions against one of the poorest countries in this hemisphere, is that democracy? Or is that the Imperialist devil and others forcing their will and their standards on a sovereign country? The march was encouraged by both the Catholic and evangelical churches and included people from all walks of society. This and dozens of other manifestations during the past many months are where I get the idea that that majority of the people in Honduras did not believe that the cuarta urna was going to help them. Tell me this. Did those of you condemning the 'infamy' against Mel Zelaya know about that? Has CNN mentioned Honduras since the earthquakes, or before that the floods, and before that the last hurricane? The following are some views from a few Hondurans in English. Some of them specifically say that they want to get their truth out to the world, so here's a little help for them to do that. Note: These were just articles/comments that I ran across and they just struck me with their genuine feeling. I did not purposely omit any Honduran pro-Zelaya articles in English, I just did not see any. Amazing how many US American pro-Zelaya articles there are though. Update 12:17 p.m.: I'm watching channel 10 news right now. I believe this is one of the most respected news channels in Honduras. They are lamenting the fact that only one side of this issue has come to light to the international world and are explaining how all of this came about in a calm, legal, and constitutional manner. In my opinion, too many people are only willing to believe what they read in English (no matter where it comes from) and choose to ignore ALL of the Honduran media reports and what the majority of people of Honduras are saying. Just because something is done in a manner that it wouldn't have been done in the US does not automatically make it wrong. This is Honduras! Dig deeper, please! Pro-Zelaya supporters are naturally angry and upset, but there is a lot more celebration going on in Honduras among those who feared what Zelaya was doing to Honduras. To disregard all of those opinions as being from ignorant peasants who don't understand what is going on in their own country or from the rich who benefit from the status quo is damned insulting! Thanks to Liz for pointing me to it. All this international blustering about the "coup" in Honduras is really bothering me. I really regret using that word because after learning more about what happened, I would not call it that. Do I speak for Hondurans when I say, "Leave to Honduras what is Honduran"? We don't want or need international intervention from Venezuela, Nicaragua, the US, or anyone else. I feel a little resentful hearing the meddling comments from other countries. The US can't and does not need to try to save every country in the world. Hmmm, now I understand how all those other countries feel. There is so much misinformation on the internet, even from respected news sources, about what happened here and why it happened that I am astounded. First of all, the military did not make a coup d'etat or golpe de estado against the government of Honduras. The government of Honduras (at least two branches of it) have been and continue to be in charge. The military were just following their orders. One branch of the government, the Executive branch, put himself above the others and ignored a verdict of the Supreme Court, who agreed with the Legislative Branch, who agreed with the majority of the population. This was no out-of-control military or rogue guerrilla group taking over our government. Apparently the Honduran constitution does need to be changed, however. It needs to allow for calm, peaceful, and legal manner of impeaching/removing a president who puts himself above the law and the other branches of government. Call what happened today an impeachment, Honduran style. Maybe forcibly removing a renegade president is not the way that things are done in more developed countries, but that is the way it was done here. This is Honduras and things are different here. I was shocked, worried, scared, but I've gotten over it and they should, too. However, note that there was no real violence, no shootings, no riots in the streets, no looting, no overzealous military beating up or killing citizens. I congratulate Honduras for finding a peaceful solution to a difficult problem! That's it. Maintaining order. No stopping or bullying of protesters. Simply assuring that things don't get out of control and that there are no riots. The national congress has just unanimously approved the destitution of Manuel Zelaya as president of Honduras. The President of the Congress, Roberto Micheletti, will assume the position of President of the Republic of Honduras. Zelaya supporters have protested in the streets, including in La Ceiba, while the anti-Zelaya factions seem to be staying at home, which is probably a good thing and will help to avoid violence. Some protesters have exhibited violence toward the military by hitting them and throwing rocks, etc., but so far, the military has shown great restraint with the public. El Heraldo has a photo array of various sights around Tegucigalpa. La Prensa also has a photo array. Statements from the international community are primarily against the "coup". They urge support for democracy, the constitution, and the rule of law, which can be taken in different manners depending upon which side you are on. Warnings and threats from other countries of possible intervention in Honduras are scary. A group called Union Civica Democrática has a message for the world. This was a kidnapping, violent and brutal. I have not asked for asylum in Costa Rica. They (the military) told me they were only following orders. The US could have prevented this terrible strike against our democracy. I will not recognize any replacement. 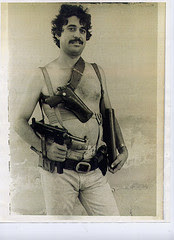 The US should step in to restore my position. My supporters should peacefully protest this illegal action. I'm waiting for the support of all of the pueblos of Latin America. I have not resigned and have no intention of doing so. I have spoken with Fidel. We are with Honduras. This is a coup d'etat against all of us. We are going to give another lesson to the Honduran military. We are in full battle and en contact with Honduras. I have put the Venezuelan armed forces on alert. El Heraldo has videos of some of these interviews/speeches, in Spanish of course. Likely they are available on YouTube as well. I haven't had time to check. Zelaya kept saying that all of Honduras is without electricity, telephone, television, or any sort of communication, including CNN, which he calls a crime. This is obviously false as I am watching him on TV right now and have been all morning. El Tiempo reports that radio stations were restored at 11:20 a.m. after approximately 10 hours off the air. Parts of Tegucigalpa (the capital) and a few other parts of the country have been without power, but rather than assuming a conspiracy or purposeful act of the government or military, I am assuming that it is no different than any other day in Honduras where power problems are the norm! Just this week, here in La Ceiba we had an entire day with no electricity and at least four other short outages. When the power goes out, so goes our cable TV and internet. That's normal! As of noon, Channel 10 and 12, which generally have had the most political news lately, were off the air and the other Honduran stations have only normal sports, cartoons, etc. programming. Channel 7 in La Ceiba was currently showing a rerun of yesterday's news. Around 1:45 p.m., all the Honduran TV stations returned and were broadcasting the same feed live from the Honduran national congress. I'll stop now as my tired brain is not capable of reading in Spanish, writing in English, while listening in Spanish at the same time on only 3 hours of sleep last night. I haven't even gotten dressed yet today! El Jefe woke me up at 7-something to say that Mel had been kidnapped and removed from the country. 5:23 p.m.: Well, I pushed my luck. Roberto Micheletti had no more than hit the gavel to close the congressional session, shouted "Viva Honduras!! ", and I was 5 seconds away from clicking the publish button, went the power went out and I've waited 3 hours for it to come back. Arrrgh! See related articles below or click the "In the news" topic in the sidebar. Just minutes ago, live on CNN, the resignation was read out loud and then accepted by Congress. Next in line for the presidency, according to the constitution, is President of the Congress, Roberto Micheletti. Congress is still in session and will no doubt be announcing the succession shortly. HOWEVER, in a telephone interview by CNN, Mel Zelaya states that it is completely false, that he has not resigned and will not resign. Channel 11 news is on the air (finally! but it is the only one). They report that the Congress has now recessed their session to investigate the "signed" resignation. They displayed a copy, which included the presidential seal (no proof of anything) and what appeared to be initials. Not being familiar with Manuel Zelaya's signature, I can't say if this was an attempt to forge his signature or not. Very strange goings on! Related articles: Please view the "Honduran Democratic Crisis" topic at right. The much rumored Honduran coup d'etat (golpe de estado) has occurred. Honduran military arrested President Mel Zelaya around 5 a.m. this morning, what was to have been the day of the illegal referendum pushed by Zelaya despite declarations of illegality from the Attorney General, the Congress, and the Supreme Court. Military personnel escorted Zelaya to the Hernán Acosta Mejía air force base and he has been removed from the country. Military forces have taken control of the presidential palace and are confiscating the election materials in Tegucigalpa. The government of Costa Rica has confirmed that Zelaya is in Costa Rica. The Costa Rican Minister of Security reported that Zelaya is in "magnificent" condition with no personal injuries whatsoever. She reported that Zelaya said he was kidnapped and that he did not ask for asylum. She believes that he will hold a press conference in the next hour. CNN en Español video from Tegucigalpa shows Zelaya supporters protesting peacefully in front of the presidential palace but the crowd appears to be dispersing. In one video, two women begin beating on the soldiers who are only walking down the sidewalk at the time. Information is sketchy because much of the capital city is without electricity, radio stations are off the air, all of the Honduran TV stations have been silent on the issue, showing sports, cartoons, and normal programming. The government propaganda station has been taken off the air. All of the Honduran newspaper websites are overloaded and can only be accessed sporadically. I was able to access La Tribuna to read one article but am no longer able to access La Tribuna for updates. At this moment, inbside or outside of Honduras, CNN en Español seems to be the best source of information. They are primarily doing telephone interviews. An interview with the leader of the large Paz y Democracia group (Peace and Democracy) reports that the military was acting legally under orders of the Supreme Court and that this "IS NOT A GOLPE DE ESTADO." A Honduran government news conference is expected at noon today, Honduran time. See? 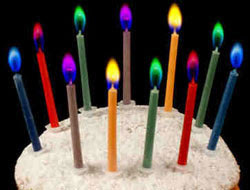 Same number of candles as last year. Seriously, El Jefe had to remind me because the only thing that June 28th signifies to me lately is the referendum! Am I engrossed in this, or what? Thank you all for the 'happy birthdays.' Oh, and in case you are wondering: Yes, I will be 29....once again. Hahaha. "It's 6:45 pm & I live a few blocks away from the prez (presidential) palace, and just in the last 40 minutes, we've heard 3 very loud explosion sounds. It's not thunder and it's not a transformer!! But I don't see any smoke. Could it be "fake sounding" bombs to keep people indoors??!! I'll update if I hear more!!!!" 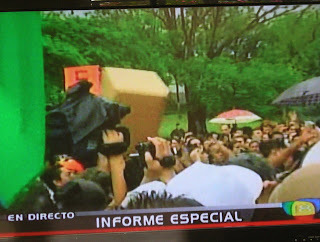 Nothing is on the Honduran TV channels about this right now and no updates in the online news so far. We'll see if this is a prank or something. 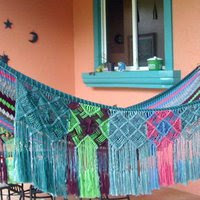 Hi la Gringa what a great blog! I just discovered it via a friend....in reference to the booms being heard, I'm in the area near the airport and have been hearing booms since the pres' last cadena but more than explosions, they sound like firecrackers or gunshots. So its a tie. Anonymous and Anonymous are hearing things and Anonymous and Anonymous are not hearing anything. Is that clear? A couple of people have reported not being able to leave comments on the Blogicito. Please keep trying! I think it is a Blogger bug as I don't screen comments. If you absolutely can not post a comment, email it to me and I'll post it for you. Today on Saturday morning, the day before the illegal election being forced by President Mel Zelaya, the TV stations were quiet, showing cartoons and other fluff programs. The government-run propaganda channel is showing reruns of yesterday's interviews. Yesterday, Zelaya retracted the firing of General Romeo Vásquez Velásquez as was ordered by the Supreme Court and the National Congress. Ex-generals of Honduras issued a strong joint statement declaring support for General Vásquez, the constitution, and the laws of Honduras. In his usual insulting fashion, Hugo Chávez, president of Venezuela, called the general a gorilla. The congressional order to confiscate the election materials was ignored. Election materials are being delivered to voting locations, not by the military as was originally planned, but by Zelaya supporters and police. Ramón Custodio, Commissioner of Honduras Human Rights organization, Elvin Santos, presidential candidate of the Liberal Party (Mel's own party), churches, and several other organizations and prominent people urged citizens not to participate in the illegal election. Aaron of Pensieve calls boycotting the election a suicide tactic based on what happened in Venezuela. The Honduran military is out in full force, as shown on Channel 10 news, who reported that they are guarding entrances to the capital, Tegucigalpa, and the borders. Channel 12 noon news and La Prensa just reported that Nicaraguan military are now in Honduras. At 1:37 p.m., an announcement was made on the propaganda channel that these are merely observers of the election as is completely normal. At 1:28 p.m., El Heraldo reported that pobladores (citizens) are fighting off Nicaraguan and Venezuelan troops -- up to with machetes! -- to keep them from entering the country! The TV stations have nothing! Very frustrating that I can not find any more details about this! What we have here is not a case of white knight(s) standing up for democracy and defying the president. What we have is the corrupt national congress and the corrupt judicial system backed by the corrupt oligarchy attempting to fight the corrupt executive. The military, which has had its own share of corruption in the past, seems to be trying to stay neutral. If only there were a group of white knights that the people could believe in. Another irony is that both sides are accusing the other of the exact same things. "What they are doing is illegal." "They are against democracy." "They are trying to manipulate the voters." For months, both sides have been accusing the other of trying to destabilize the government. A personal irony is that I agree 100% with much of President Zelaya's words to the people, though I don't believe that he means what he says or that a change in the constitution would result in those improvements. People do need a voice. People should have the right to be heard. People should have a right to a dignified life. People should have the right of free speech without fear of retaliation or lawsuits. The courts only impart justice for the powerful, the rich and the bankers. All those statements and many more are true! The problem I have is that if Mel Zelaya really believed them, why hasn't he taken any action to address or correct these issues in the past 3 1/2 years? It isn't the constitution stopping him. Operation scissors, grey telephone traffic, the Hondutel bribe scandals, and several attempts to control the media are only a few examples of situations in which he has acted to support the rich and corrupt, not the citizens of Honduras. Increasingly, President Zelaya is bringing God, the bible, and the virgin Mary into the conversation with the people, even comparing himself to Jesus dealing with Judas. He and his wife and daughter have stated that he is doing God's work on the government propaganda channel. "Nobody is going to take away my legal authority because the people, who are the voice of God, are with me" was one recent statement by Mel Zelaya. "Every check that every mayor, congressman, and functionary is because I give it to them", said Mel. "I'm the one who is responsible for what happens at the end of the month....from where the money comes to pay them, who gets subsidies, what works get performed. Don't forget that. I'm the executive. You owe me obedience and gratitude." For some very strong Honduran and other views, see the reader comments here. A reader wrote: "Chávez, Chávez, Chávez. Why are you trying to play the Chávez card?" Huh? Why is La Gringa trying to play the Chávez card? I beg to differ. Chávez played the Chávez card! I saw him myself on television − on the government propaganda station − in his own words, while he wagged his finger threateningly. The newspapers have quoted him accurately and I can say that in my personal opinion, he appeared even more threatening than his printed words. 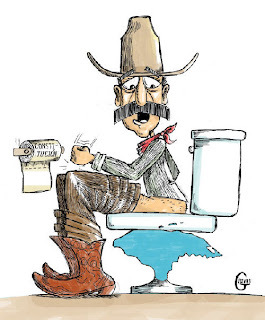 Another reader wrote that the caricature posted in the last article was typical of the big business attempts to discredit Mel Zelaya. 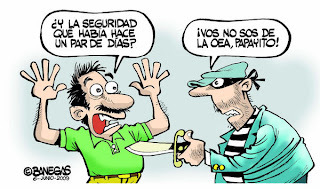 The truth is, as noted in the original article, that caricature came from Revistazo.com, the most anti-big business media outlet in Honduras. Revistazo writes stories about business abuses that are not carried in any of the other Honduran newspapers. The editor of Revistazo won an award from Amnesty International. I highly recommend that Hondurans read the recent articles about the diputados (congressmen) running for reelection in November and the amounts of cash they have received. Rumors have been flying that Venezuela has already sent troops to Nicaragua where they are standing by to assist Mel Zelaya. A different rumor is that both Venezuelan and Nicaraguan troops are already in Honduras. Yesterday, a Honduran ex-general made a strong statement to reporters directed at Hugo Chávez basically stating that Chávez needs to keep his troops out of Honduras, that we are a sovereign nation and we don't want him meddling in our affairs. Rumors also state that the election has already been decided as supporters have been collecting "votes" for days or weeks. One report is that they already have more signatures than the entire number of votes − for both parties − in the primary elections which were held earlier this year. Also rumored is that the Honduran constitution has already been rewritten in Venezuela and that the election materials were printed in Venezuela. If only 'sound bites' were a known concept in Central America! My head is exploding from listening to long winded speeches and reading rambling news articles. It is difficult to digest everything and spit out nice, neat, meaty tidbits for readers. Additionally, what is reported as fact one day then sometimes is reported the next day as a rumor only. Revista Envio has an indepth article: What's behind the fourth ballot box? Miami Herald: Congress asks Organization of American States to withdraw from election observation. Why you might ask? Because it only serves to legitimatize an illegitimate election. These international election observers do a lot of harm to countries like Honduras by falsely reporting "democratic" elections that are not by any stretch of the imagination democratic. Honduran online newspapers are doing an excellent job of updating virtually minute by minute as new events occur. The national congress met until late into the night with the building surrounded by police and military guards. The congress named a special commission to investigate the acts of the president. They will be deciding whether the president should be removed from his position. Zelaya responded by saying that the congressmen, particularly president of the congress, Roberto Micheletti, should be investigated. Banks, many businesses, and some schools closed early on Thursday for fear of violence in the capital city of Tegucigalpa. Grocery stores, at least in Tegucigalpa, were full as people prepare for the worst. Similarly, long lines were formed at ATMs and gas stations and fuel shortages are feared. A gigantic protest march is planned for tomorrow. TACA airlines is reported to have canceled flights to Honduras, at least until June 29. It is unclear whether this is related to TACA's L.38 million unpaid debt to the government or the potential for civil unrest or some other reason. The government has been threatening to suspend TACA's permission to operate since March. Authorities of the National University (UNAH) declared that there will be no classes tomorrow until the political turmoil is resolved, but later in the night, the Minister of Education announced that all schools would be in session normally. Citizens interviewed on the news expressed worry and fear about what is going to happen. Disappointingly, in interviews by a La Ceiba television station, several citizens, particularly women, reported not understanding anything about the situation. It was unclear whether election materials were confiscated by the Attorney General's agents, whether they were turned away by the military or whether more election materials were delivered today by the Venezuelan plane mentioned in the last article. 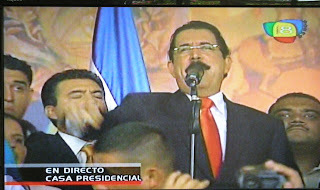 President Zelaya and his followers whooped and hollered as they passed the boxes across the top of the crowd. 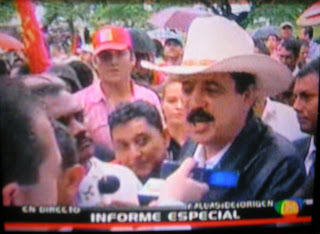 Zelaya promised that the military or police would be delivering the materials to the election sites tomorrow. 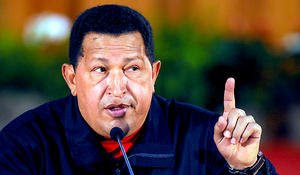 Most disturbing are these quotes from Hugo Chávez who advised with finger pointing that "The revolutionary governments of the region are not going to stay with their arms crossed during an intent to overthrow Zelaya". "We are disposed to do what we have to do to respect the sovereignty of Honduras and the wishes of the Honduran people", affirmed Chávez, after revealing that in the last hours he has talked about the situation in Honduras with his colleagues from Bolivia, Evo Morales, and Nicaragua, Daniel Ortega. Morales, Ortega, and Fidel Castro, ex-president of Cuba, all announced their support for Zelaya. By popular request, I'm going to try to hit the highlights of an extremely crucial issue affecting the future of democracy in Honduras. It's very difficult to condense hundreds, maybe thousands, of newspaper articles, media reports, and the constitution of Honduras in a blog article, so please understand that this article is only offered as a brief overview of what has been happening and is going on at this very moment. For more details, see La Prensa, El Heraldo, and La Tribuna, which are being updated minute by minute. Ostensibly, Honduran President Mel Zelaya's proposal to have a fourth ballot box in the November elections for the purpose of allowing the citizens of Honduras to have a say regarding whether or not the constitution should be revised sounds like a democratic measure. At first glance, an uninformed reader might think that those opposed to allowing citizens to vote on the issue are the anti-democratic ones. The real motive behind this issue is widely believed to be to change the constitution to allow Mel Zelaya to continue in power as president, a la his amigo Hugo Chávez of Venezuela. The constitution expressly prohibits this and declares any efforts to change those parts of the constitution as illegal and punishable by criminal action. Most worrying has been the several secret meetings reported over the past months between President Zelaya and the military commanders. Fear that Zelaya would use the military to enforce his will has been widespread. The national congress and media have repeatedly called upon the military to do the 'right thing,' i.e., uphold the current democratic constitution and not perform illegal and unconstitutional acts for anyone, including the president. No specifics whatsoever are being given as to what exactly should be changed in the constitution. Vague promises of making the constitution "more democratic" are being given. Because of the high level of propaganda (hundreds of millions of lempiras have been spent while the pobladores go hungry and homeless), people have the idea that somehow they will be sharing the wealth (via socialism?) or that the changes will somehow affect corruption − ironic since Mel Zelaya is widely proclaimed one of the most corrupt presidents in the history of Honduras. On the state-run propaganda television station, Zelaya makes disparaging comments about how the constitution is "27 years old! ", thus implying that it is horribly outdated. Concerted efforts have been made to make this an issue of the poor (about 70% of the population) against the rich business owners (of which he is one). The primarily uneducated poor are being easily manipulated with empty promises. There has been no indication that the people will be allowed to approve or disapprove of any recommended constitutional changes. They are merely being offered the opportunity to give a blank check to those in power. The actual plan put forth by Zelaya is that a constitutional committee (hand-selected by him no doubt) will review and decide the changes in the constitution. 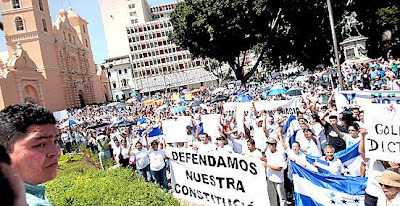 I've read the constitution and in my opinion, the problem is not the constitution, but the lack of transparency and the corruption in the way the laws are enforced, or more accurately, in the way that laws are not enforced in Honduras against the rich and corrupt. Every step of the way, Zelaya's plan has been declared illegal − by popular opinion, by legal professionals, by the attorney general's office, by the national congress, by the lower court and the supreme court. In an effort to legitimatize the fourth ballot box, Zelaya's latest plan is to hold an official public poll this Sunday, June 28, to allow the people to vote yes or no on whether to have the fourth ballot box. This effort also has been declared illegal, but seemed to be going forward with the support of the Honduran military. The 2009 budget has not been approved by the President, resulting in government organizations who are strongly against the 4th ballot box, such as the National Congress and the Ministerio Publico (Attorney General) not being paid in an effort to force submission to the President's will. Citizens are being denied government-provided medical care unless they promise to vote for the 4th ballot box. Government employees against the 4th ballot box are being fired. For the past months, high government officials have been taken away from their duties to campaign in outlying parts of the country. At least one threat of cutting electricity was made to a municipio whose mayor, with the support of citizens, has protested strongly against the issue. Rich and "important" people, including Mel Zelaya's entire family, have left the country. Though popular opinion seems to be strongly against the referendum, fear is that the outcome of the election, in the way of Central American elections, has already been decided. Mel Zelaya admitted to the media that he won his presidency because of corruption and frankly stated that that is the way it is in Honduras. L. 500 (about US $26) is the going rate for peon votes. The price, of course, is much higher for those with influence − government contracts, important positions in the government, and outright cash payments are common methods of gathering support. An example is cash payments of L.1,000,000 (US $53,000) to congressman greased the way to approval of the ALBA treaty with Venezuela. El Jefe and I personally have talked to many people who admit they know nothing of the issue but say they will gladly vote either yes or no for L.500. He has also talked to many who do understand the issue but will still sell their patrimony for the right price. The saddest part of all is that these opinions are offered as completely normal and rather than being something shameful, it is considered good business. "If you can't fight the corruption, you might as well make something for yourself." Late last night, Mel Zelaya fired Romeo Vásquez Velásquez, Chairman of the joint military forces. The civilian Secretary of Defense and generals in charge of the Army, Navy, and Air Force resigned in support of the chairman. In a special emergency session today, the National Congress declared the firing illegal and ordered the general back to work. The supreme court immediately ratified this measure. The immediate decommission of all election materials for Sunday's election was ordered. Just minutes ago President Zelaya held a press conference stating that the congress and supreme court are performing illegal acts against democracy and the people of Honduras. He strongly proclaimed that NO ONE was going to stop the election on Sunday. He seemed to be whipping up people into a frenzy and invited all who had vehicles to follow him to a private place for further discussion....and that was the end of the public press conference. The emergency session of the congress was then suspended for reasons of security. Meanwhile, agents of the Attorney General entered a military-guarded area to take control of the election materials. Simultaneously, the President and a caravan of supporters were also on their way to the military base where the election materials are held. A Venezuelan airplane just landed in Tegucigalpa. Whether this is to provide support for Zelaya or to whisk him and his family away to Venezuela is not known. When I see the protests going on in Iran right now, I can't help but think that we may be seeing something like this in Honduras. The difference is that it would not get the same international media attention because Honduras is just not that newsworthy to the rest of the world. Recommendations from many are that people should stock up on food and gas and stay close to home as much as possible. Visitors ask if they should come or they should leave − the answer is that no one knows what is going to happen. I received the photo below from someone who questioned whether this "revolution" may have been a long standing dream of Manuel Zelaya. 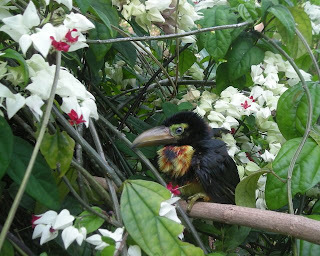 Touky is actually a young collared Aracari (Pteroglossus torquatus), obviously of the Toucan family. Though he looks like a good size, I know that he is young because he has blue eyes and green skin around the eyes. Adults have yellow eyes with red and black skin around the eyes. We found him with a broken leg. I've been trying to cure him so that he can go back to his family − who come to look for him almost every day. Toucans are social birds that form a serious family unit. I'm so hoping that he gets better before his family gives up on him. 10. 'El Compita', leader of an organized car theft ring, was captured by the police in Comayagua for the fifth time according to La Prensa. In each of the prior arrests, Honduran judges granted him substitute measures rather than holding him in jail. According to La Tribuna, he has been granted provisional release seven times because the victims withdraw their complaints because they fear for their lives. 9. Manager of Fiber Optics of the state-run telephone company, Hondutel, was murdered in a drive-by shooting. 8. While talking on the phone to her husband, a woman heard her 58-year-old businessman and engineer husband being murdered by gunmen. His body was later discarded in a field in a municipality ironically called Protección, in Santa Barbara, Honduras. 7. Two decapitated women were found in two separate locations in Chamelecón. One was identified by a mother who thinks the body is her 16-year-old daughter. 6. Three San Francisco, Atlántida, police officers were attacked by gunfire while on a routine patrol. The vehicle suffered more than 50 bullet holes while only one leg injury was incurred by the police. Speculation is that they are being convinced to cooperate with narcotraffickers. 5. In less than 24 hours, three taxi drivers were killed in Tegucigalpa, Honduras, for not paying the so-called the "war tax," money extorted by gang members for the right to do business. One taxista stated that the gang members have more power than the police. Mareros arrive at the taxi stations in luxury SUVs and operate with impunity, sometimes collecting as much as L. 10-20,000 at a time. 4. Three members of a San Pedro Sula family, including a 9-month-old baby were murdered in their sleep during the night. Police found 70 bullet shells in their house. 3. Four narco planes crashed in Honduras over four days time. One crashed in Colon and another somewhere in the sea off Guanaja. 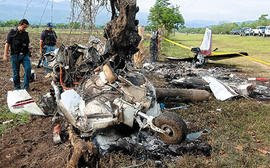 The third crashed in El Negrito, Yoro, and the fourth drug plane crashed and burned in La Mosquitia, bringing the 2009 total of crashed drug planes to 13 so far. La Prensa calls Honduras, with at least 10 clandestine runways, "The runway of the Venezuelan drug traffickers". 2. Eight robber-kidnappers invaded a business in the small town of Victoria, Yoro, Honduras, where they abducted and badly beat the owner and his wife. Fed up with crime, lack of justice, and having no faith in their two lone police officers, citizens along with neighbors of two nearby villages took matters into their own hands. They gathered rifles and pistols and searched for the perpetrators. A gunfight ensued with the criminals who were armed with AK-47's and 9 mm guns. The victims were successfully rescued and six of the suspects were murdered. Citizens proudly told Channel 10 news that they want to lynch the other two as well. 1. Nine people were murdered in a massacre in Sabá, Colon, Honduras. The nine were reported to be security employees. The former businessman homeowner had been murdered a month and a half earlier and it was assumed that the assassins' target was the son who was not at home at the time. During this same period, in an excellent use of the Honduran police force, 50 police elements armed with riot gear detained the brother and 15 other friends of kidnap victim Bernardo Rivera, an ex-congressman who has been missing for 80 days. San Pedro Sula's Central Park was the meeting place for Jacobo Rivera and friends and family members who were planning a peaceful protest to ask for justice and the safe return of Bernardo. 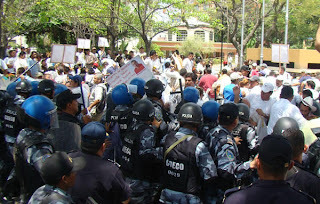 The 50 police elements used violence to prevent them from disturbing the OAS delegates. In contrast, protesters and marches supporting Cuba's readmission to OAS (a pet project of Honduran President Mel Zelaya and his right-hand woman, Patricia Rodas) were permitted. 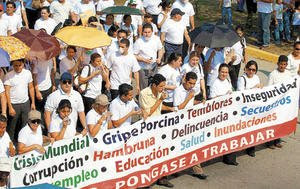 Some of the protesters were from Nicaragua and El Salvador and some were thought to have been paid to protest. 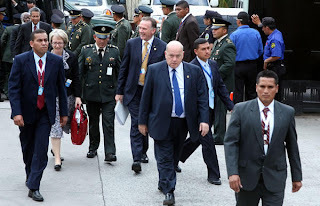 Some 3,000 Honduran police and military were assigned to keep order and protect the delegates to the OAS, who additionally brought in their own security. 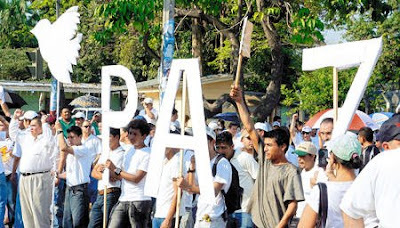 At other times and in all parts of the country, hundreds of thousands of Hondurans of all classes have marched for peace, including a recent large protest in Choluteca, Honduras. "We are marching for peace, liberty, and security," they told the media. They denounced that they can no longer tolerate the high levels of crime in which the country lives and the apathy of the authorities. Though "No violence" was the OAS theme, much more attention and emphasis was placed on the proposed re-admittance of Cuba to the OAS. In his opening speech, President Zelaya even twisted the topic of violence to his own political benefit, characterizing popular objection to his 'fourth ballot box' proposal as another type of violence, an insult to all of the Hondurans who have been crime victims and live with insecurity and real violence every day. 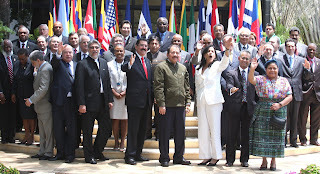 Similarly, in the closing speeches, both Patricia Rodas, Honduras' Foreign Affairs Minister, and Daniel Ortega, President of Nicaragua, also preferred to discuss political, cultural and economic violence rather than individual violence. Rodas proclaimed that each of the OAS states had committed violence against Cuba. (Videos of the proceedings and speeches are available at the above links.) La Prensa quoted President Zelaya as saying that "it will depend upon each country to develop a culture of nonviolence," which La Prensa stated "demonstrates that the theme has no importance for the chancellors and heads of state." 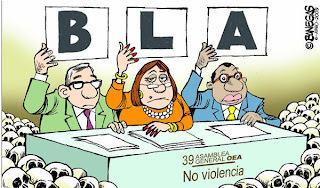 Ultimately, the OAS members approved a 'no violence' document which had been drafted back in May. It contains a lot of nice words. That's what we want in Honduras. In the last article, What is an Expatriate?, I mentioned how the words 'expatriate' and 'immigrant' have different connotations. Some people think of an expatriate as an adventurer who has gone off to live in an exotic foreign land, while some − not most, hopefully − but some think of immigrants to their own country as somehow lesser beings, not quite equal to a natural born citizen. Throw in illegal status and neither noun needs to be used. Those people are simply called 'illegals.' 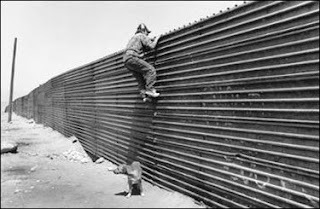 Most ironic of all is when illegal immigrants in Honduras complain about 'illegals' in their homeland. Hah! Yes, believe it or not, it happens, and they don't seem to recognize the irony. In the past few years, I've begun to think of myself more as an immigrant than an expatriate. Being married to a Hondureño makes the challenges of Hondurans more real to me. I see and feel the injustices, the fear, and the hopelessness. I'm not sure where I fit. When thinking about the current times in Honduras or looking at Honduras' future, I think in terms of 'we/us'. We need to stop corruption. We need to be safe. Our children need decent educations. Even if I was here 20 years, I could never say "We Hondurans need....". That wouldn't be allowed. I would be told that I am not Honduran. But just because my individual needs are being met, I can't ignore what is going on in the country. After all, the USA was built by immigrants. "Give me your tired, your poor. Your huddled masses yearning to breathe free. The wretched refuse of your teeming shore. Send these, the homeless, tempest-tossed to me. I lift my lamp beside the golden door!" 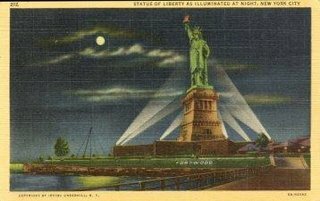 Though the immigration issue has become more complicated, many of us still believe in those words on the Statue of Liberty. Those words bring tears to my eyes! Am I romanticizing about my home country? No one can become a Honduran. Not ever. It is possible to become a Honduran citizen and attain the right to vote but you will probably always be considered the gringo or the extranjero (foreigner) no matter how tightly intertwined your life is with Honduras. Innate things that you can't change, such as your accent, posture, the way you walk, even your height or hair color may point that out. I realized this one day when a neighbor referred to a man who has lived here for some 20 years, is married to a Honduran, has Honduran children, and to my ears, speaks perfect Spanish as "the old gringo". I'll always be an American and I know that I'll always be treated like a gringa in Honduras. I can't change that but I accept it. Eddie of A Third World Shopkeeper wrote a couple of excellent articles comparing immigrants to expatriates that have stuck in my mind for many months now. In Migration - Are we all expatriates now?, Eddie mentioned that the difference between expatriates and immigrants is a matter of future outlook. Immigration implies a permanent move. As an expatriate, there is always that possibility that you could repatriate (go back to your home country) if you wanted to. Some expatriates are here for a definite term, 6 months, one year, two years. Those might even be called 'visitors' instead. A set future move date helps with acceptance and provides a mental lifeline. "If I can just get through the next 6 months, I'll have electricity and clean water 24 hours a day!" In the old days, immigration implied a goal of complete assimilation, if not for you, certainly for your children. In part II, Eddie mentions how expatriates sometimes set themselves apart from the general population. Their friends are expatriates, they belong to expatriate clubs, go to expatriate restaurants, maybe live in expatriate enclaves or developments catering to expats and the more affluent of the local society. Some try to fit into both cultures and some immerse themselves into the new culture. Eddie mentions how global communication helps expatriates and immigrants to keep in touch with the homeland. That is a comforting thing that can make the transition easier, but in some ways can also serve to maintain the 'difference'. In my opinion, the difference between those who think of themselves as expatriates and those who think of themselves as immigrants also relates to degree of commitment. By that I don't mean commitment to length of time, but a commitment to the country. 'Visitors' often find it easier to ignore the more unpleasant aspects of the country. Immigrants should care about what is happening in their adopted country. Oh, I don't have the answers. The truth is that some days I think of myself as an immigrant and some days as an expat. Other days I feel like a lost soul and some days I even feel like the million desperate Hondurans who want to escape to anywhere else. But I feel a strong commitment to Honduras and want to see it a better, safer, kinder place for its citizens. I'd love to read your thoughts on this. Please comment. Previous: What is an expatriate?